¿WHY IS IT ESSENTIAL TO RECTIFY BIRTH CHARTS? The only serious and scientific way of calculating with precision past and future events in the life of a human being based on the birth chart or radix is rectifying the time of birth. This can be done taking into consideration the dates of different events occurred in the past in the life of the client. If this is not done the dates arrived at in the birth chart will be erroneous and of little use. We can use an example, let us suppose that we know the time of birth of a client with an error in time of only four minutes. Under these conditions the error in the dates arrived at with planet-cusp directions will be an average of one year and, in consequence, the information obtained will be of little use. To consider a radix as rectified the error in time should be at the most three seconds. Of course this will seem impossible to those who work without exact times and lack the knowledge in rectification and directions. But there are special techniques that will allow us to produce rectifications of the birth chart based on the exact dates of important events in the past in the life of the client. 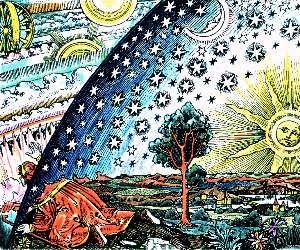 We have devoted long years to the practice of scientific Astrology (since 1954) and in that time we have accumulated a vast experience using the rectification techniques already in use. We were able to add a new technique which is more powerful than anything used to the present (we are referring to our symbolic multiple keys). Of course these rectifications imply serious studies and sophisticated software and hardware. This explains why these techniques have not been widely spread as the use of them is not an easy task or easily at hand. Properly done, the only way to work effectively on a rectification is through directions associated to vital facts of the past occurred on precise dates. Every other possibility in this respect is not at all serious or effective. Of course, it will not be enough to say that a birth chart has been rectified but it should be tested thoroughly when a great number of the predicted events following the rectification take place in the exact predicted dates (admissible maximum error: at the most two days before or after the prediction). Only when all this is tested we can consider the rectification properly done. WHEN BIRTH CHARTS ARE NOT RECTIFIED CLIENTS ARE LEFT AT RISK! Let us make it clear that to work on rectifications the techniques to be used are symbolic directions (Spicasc’s multiple keys), mundane primary directions and those under the pole of the significator. Among all of them symbolic directions are the best, the most precise and have a narrower orb than primary directions. Secondary directions (badly called progressions) are not good because they are highly inefficient (an average of one in twenty can be effectively predicted: this is not only my opinion but that of specialists the size of Gustav Schwickert and Jacques Reverchon). Another absurd technique to rectify is the one based on the solar return. In this case and in the best of results the possible approximation will be one grade (four minutes in time) which will be translated, as we have seen, in mistakes of as long as a year in the directions of the radix. Of course there are other methods (even more absurd) we should discard, and obviously, rectifying or predicting “by intuition” will only be cunning salesmanship. We should specially be aware of two so-called ways of rectification of a birth chart. One of them is epoch theme, an old illusion practised and revived in this century by Schwickert, Chiwa, Sepharial, Bayley and lately, by Marr and Starkman. We haven’t found even one example rectified in this way where results were correct. Another parody are “automated rectifications” done through special software which is also a complete failure. IT IS NOT POSSIBLE OR SERIOUS TO PREDICT OR EXPLAIN THE FACTS OF LIFE ONLY THROUGH TRANSITS! Morin de Villefranche used to state firmly at the beginning of the XVII century that “Solar returns and directions are the walls and the ceiling in the building of Astrology”. Transits are only “music in the background” signalling different periods in life and general tendencies. The astrologer who uses them as the foundation of his work is completely discrediting himself. It will be impossible to work on precise predictions based only on the transits. Only charlatans will pretend to do it. When the birth chart is well rectified we will get wonderful results not only in the prediction of exact dates but also in another topic of fundamental importance in Astrology. We are speaking about relocations of lunar and solar returns, which will be impossible to do in a reliable way without rectifying the radix. Let us make it clear that relocations of lunar returns had not been done previously in the world and it was the writer’s idea trying to relocate them. To research on this issue I used myself as a guinea pig. The results obtained were so fantastic indeed that hundreds of people are relocating their lunar returns at present and they are drastically improving their quality of life. Let us have a look at some precise recommendations to work on the rectifications. The truth is that the topocentric system has as the sole real utility the formula of the poles for the estimation of the primary directions under the pole of the significator. This formula of the poles, as it was pointed out by Polich and Page themselves in their article published in the closed magazine “In Search”, comes from the french astrologer André Boudineau. When dealing with symbolic directions the topocentric system evidently fails in front of Placidus’ cusps. Well understood, this will be valid for latitudes north or south, from the Equator to the Polar Circles. Beyond the Polar Circles the problem of domification has not been solved yet and there is nothing but speculative theories in that respect, which lack any kind of experimental testing. The principal problem being of course, finding people born in those high latitudes, to be able to work on the corresponding controls. In the second place we have to say something in respect to the theory of relocation advocated by Jim Lewis, Baigent and others. These authors say that when the human being changes his place of residence for a long or short period of time his birth chart changes and the cusps should be recalculated as if he had been born in the same moment of birth but in the place where he now inhabits. Nothing could be more inaccurate or opposite to the principles of real Astrology. We can actually refute this theory automatically rectifying the birth charts of people born in other places. When we do this we can establish beyond any reasonable doubt that the cusps of these people are exactly where they used to be when they were born, even when at present they are living in another place. Directions show this in rigour and absolute and irrefutable solidity. Those who support Jim Lewis’ theory show that they have never practised, or do they know anything about rectifications or directions. But, of course, thinking this way, these people are not practising and are denying the changes of the solar or lunar returns… They are really missing a lot of benefits! WHAT ARE THE DATES OF THE PAST, WHICH ARE WORTH COLLECTING TO RECTIFY THE CHART? 1) Long and short trips (date of departure and return). 2) Affairs or romances (date of meeting and date of beginning). 4) New Jobs (when it is announced and when it begins). 6) Surgeries (the date when they were performed). 8) Children’s date of birth. 9) Illness or death of close members of the family. 11) Important meetings of all kinds (even parties). 13) Cash in money, inheritance or important legacies. 14) Dates of judicial sentences (notification). 15) Beginning of new important friendships. 16) Dates of purchase for properties or vehicles.